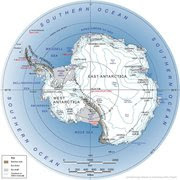 The South Pole: Solo but not Alone: Romance in Antarctica, taking our North Pole meeting a step further??? Romance in Antarctica, taking our North Pole meeting a step further??? Many of you will remember the emotional meeting Ruth and I had at the finish of my 2010 North Pole expedition, literally at the North Pole in 2010...... Hmmm, that always brings a littel tear to my eye for its specialness! Well with her last degree North Pole skiing experience, cold weather skills, and her enormous endurance capacity she has also signed up for a South Pole experience that will no doubt push her limits. She is part of a team of five, guided by Richard Weber (Who guided my 2010 expedition) who will be following the same route I am taking and we will fly out to the start together on the 20th November. 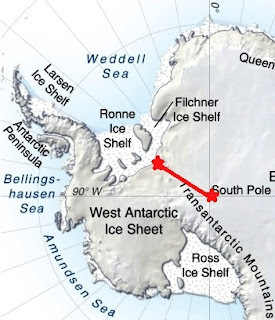 If all goes well and we both make it to the South Pole, we will meet each other around Christmas day for what promises to be a very emotional and dramatic twist to this solo South Pole expedition. In Ruth being out on the ice while I am out their solo, I will have this confusing togetherness yet aloneness. She will no doubt be dealing with her challenge and have little capacity or means to support me in the way she has previously, and I will feel some strong desire to support her through her challenge, but this mutual support will largely be just in the comfort of knowing we are both out there on the ice together, dealing individually with the challenges that Mother Nature will throw at us. The potential prize of an emotional meeting akin to one at the North Pole in 2010, but this time both of us victors in our own significant pursuits. This will be a real strong motivator for digging deep when the going gets tough and the spirit starts wavering. Ruth is scheduled to fly back from the South Pole and I am then scheduled to take her place in Richard’s team for the exciting kite ski back to the coast.